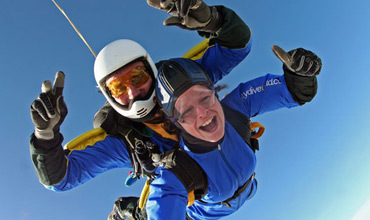 The extreme and adventure experiences with Gift Experience Day make the perfect gift for the adrenaline junkie in your life. We've put together a wide range of experience days that are guaranteed to get the blood pumping. From bungee pumping to wing walking, your heart will be racing after the thrill of these days out. For those not quite ready to take on something quite so extreme, perhaps paintballing or the challenge of the high ropes would suit better. After teaming up with our friends at Activity Superstore, Red Letter Days, Virgin Experience Days and elsewhere we can guarantee that however adventurous you're feeling, you'll find something fun here.